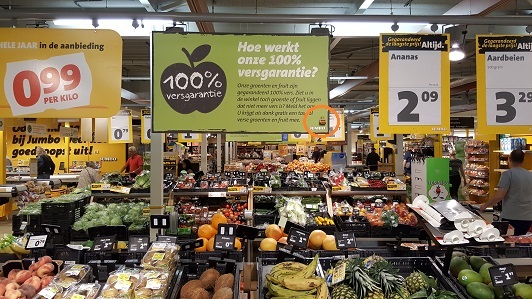 Lost revenue is a major problem for supermarkets! 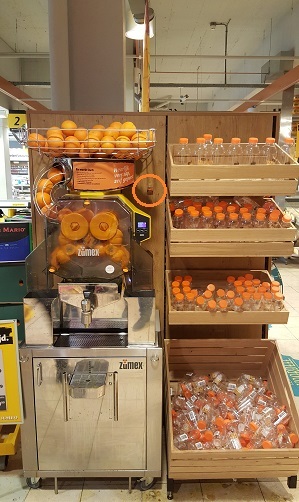 Customers often don’t buy certain fruit or don’t use the juice machine, because they associate the presence of fruit flies with poor hygiene. 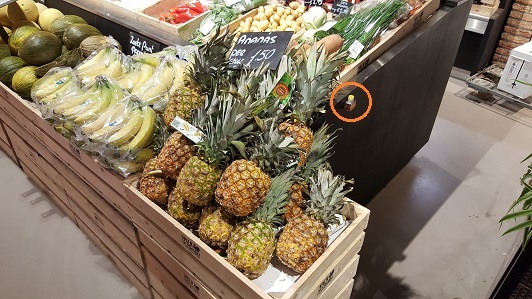 On internet you can find a thousand tips on how to combat fruit flies. All kinds of vinegar mixes, fruit, alcohol in small jars, plastic containers, saucers, plastic bottles and so on. 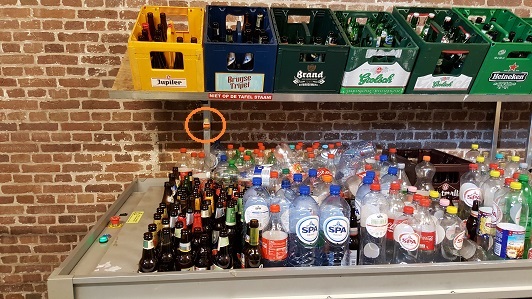 It takes too long to prepare, it takes up too much space and it is simply not the most effective solution. As a Supervisor or Manager you simply don’t have time for that. 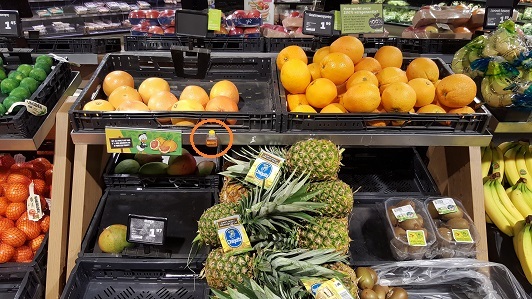 Moreover, customers see all kinds of bottles with plastic liners in the produce department. 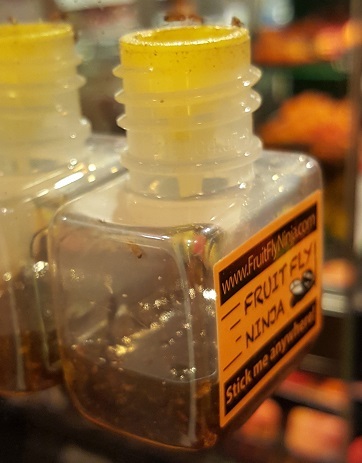 Let the Fruit Fly Ninja® fight the battle for you. 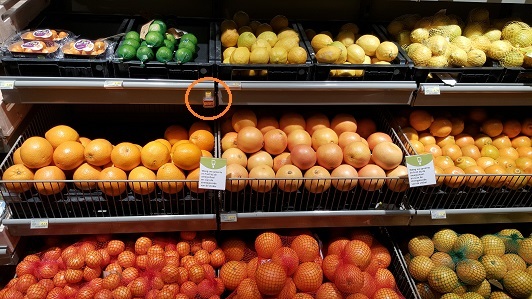 The most effective way to combat fruit flies is to stick the Ninja's close to the problem area. 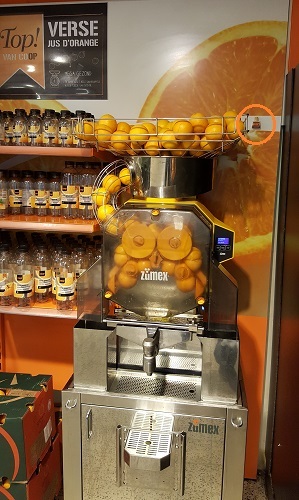 Typical problem areas are fresh produce (mainly pineapple, citrus fruit, peach) and juice machines. 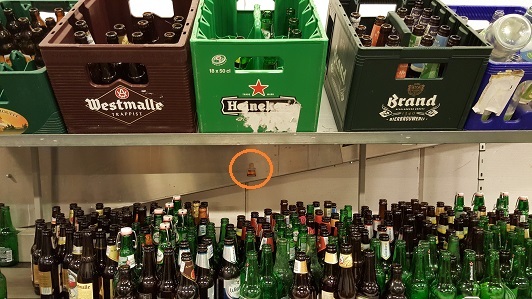 Don’t inconvenience yourself and your customers. 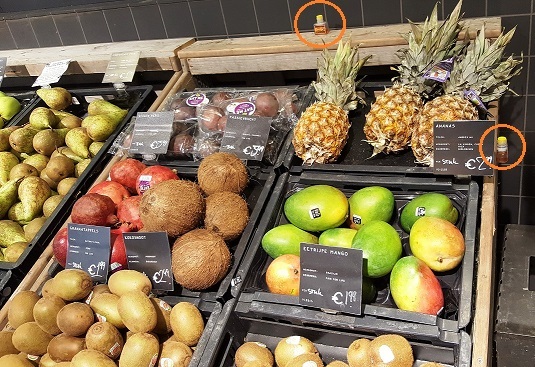 The supermarket industry should use multiple fruit fly traps simultaneously and replace them every 3 weeks. 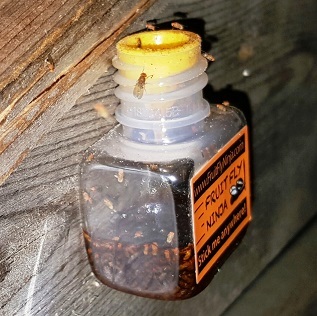 That’s the way to reduce the fruit fly nuisance. Fruit flies have a short life span, it is a matter of days before they can reproduce. 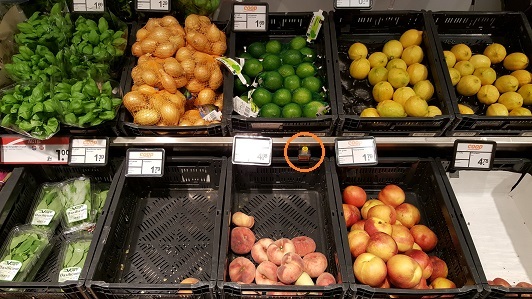 They need fruit to breed, and they find it in your produce area. Stick the Ninja in these areas. Within a few days each fly will come very close to the Ninja. 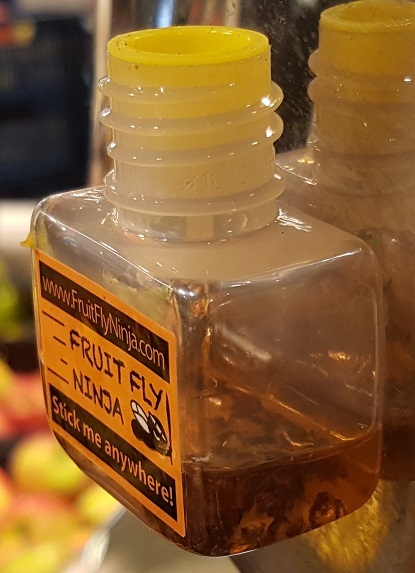 The chance of getting rid of the flies with the patented Fruit Fly Ninja® is extremely high, and most flies will be caught within a matter of days. 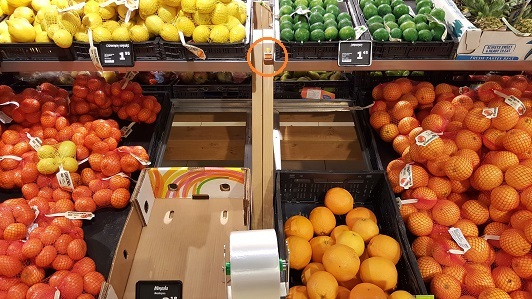 We sell our product to various grocery store chains, both for their own use as well as consumer sales. 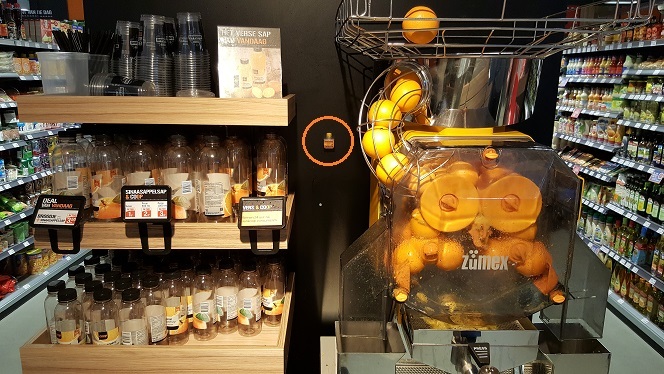 Request a free pilot project for various store locations. 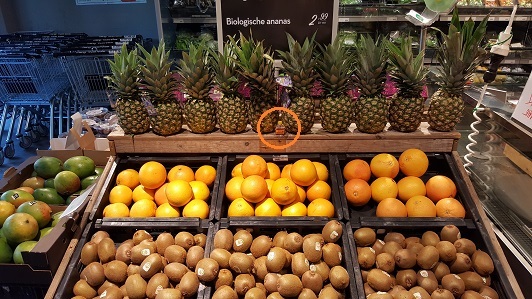 We will install the Fruit Fly Ninja's in consultation with the Supervisor or Manager. This way we will be able to find the best areas and create even greater success. 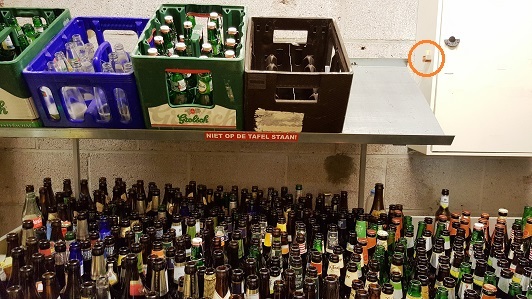 We discuss the test results with the head office, which can then get into contact with our distributors and make our product available to all locations. For more information please contact our CCO or your local Country Manager.